Nicole Desportes suffered from anorexia between the ages of 16 and 35. Today, she is considered “cured” of her eating disorders. 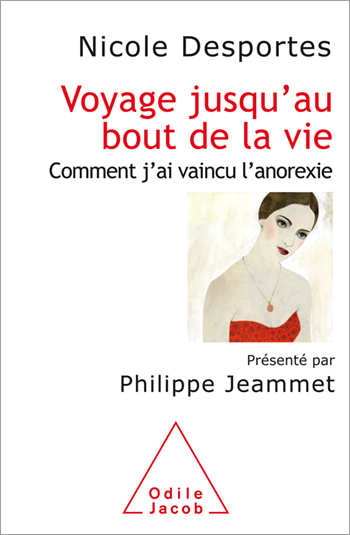 Philippe Jeammet, who contributed the preface, is emeritus professor of child and adolescent psychiatry at the University Paris-Descartes. This follows the great success of Polo Tonka — Dialogues With Myself. I was anorexic, and I overcame it. “Behind the word “anorexia” hides a forest bristling with ideas, emotions, passions, desires, a multitude of dreams — big, beautiful, powerful dreams — with the possibility of pathways but also an ocean of doubt, of fears, of unsatisfied needs, of wounds. Because I passed through all the torments of this disease — the moments of exultation when one is convinced of having “got the better of it”, and then the depths you plumb when your whole being is swallowed up, at the same time as your weight — I can testify that, even if anorexia is and always will be dramatic, for the adolescent, for her family, for her friends, it reveals nothing less than an immense appetite for life, a prodigious inner force, brimming over with vital energy. Because that is the force needed to withstand the stress that anorexia imposes. I know that, my body knows that. And how passionately you need to love life — not your life but life, to push an obsession so far in this drive for intensity and absolutes. A searing account, written from the centre of pain, that demonstrates magnificently the constant swings between an enormous love of life and a profound wish to destroy it — beginning with oneself. An indispensable guide for families and loved ones, but also for carers who should never forget the need to be guided by their humanity.